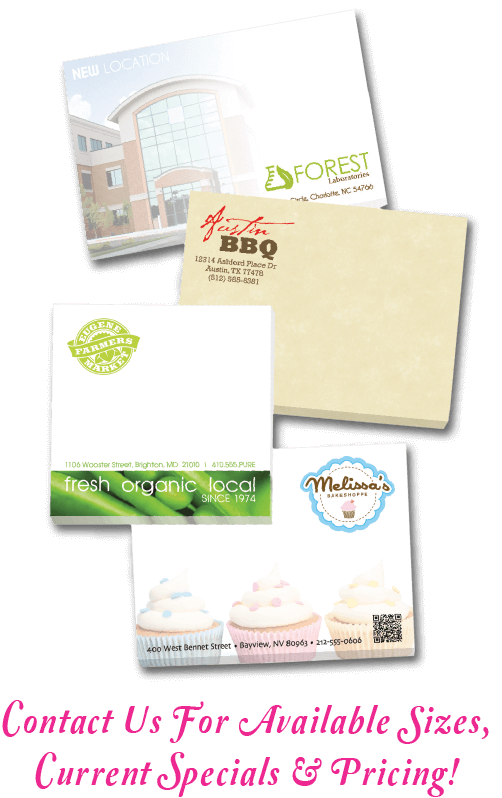 Sticky notes are a surefire way to get your products, services, brand image, and message in front of a highly targeted audience day after day, month after month. Hand them out to customers, clients and employees. Everyone needs a place to jot down their notes. Whether attending a business meeting, lecture or just on a call; sticky notes are one marketing material that is welcomed by all. 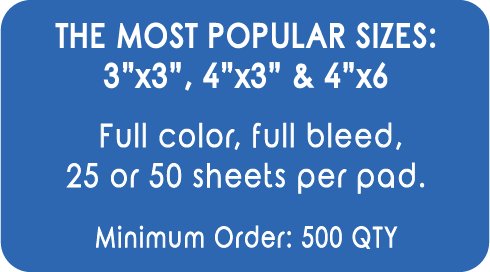 They can be full color printed and are available with 25 or 50 sheets per pad.